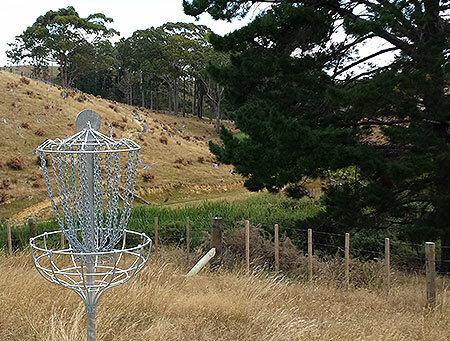 Disc Golf at Auckland's newest Regional Park. 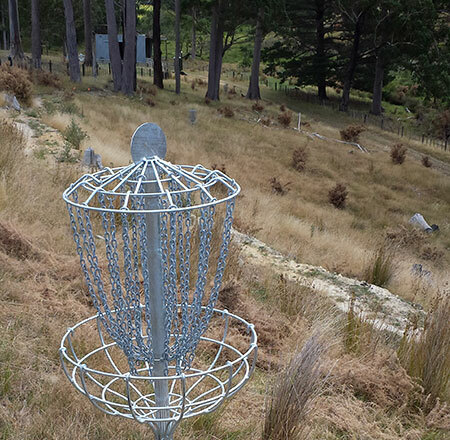 A sight that gave course designers goosebumps - the delivery of the superbly designed baskets to the Waitawa Disc Golf Course. 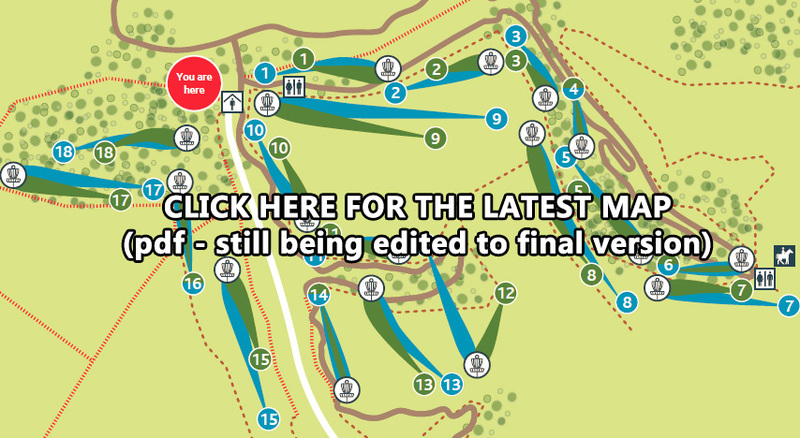 Click here to drop down to more pictures of the course and it's construction. 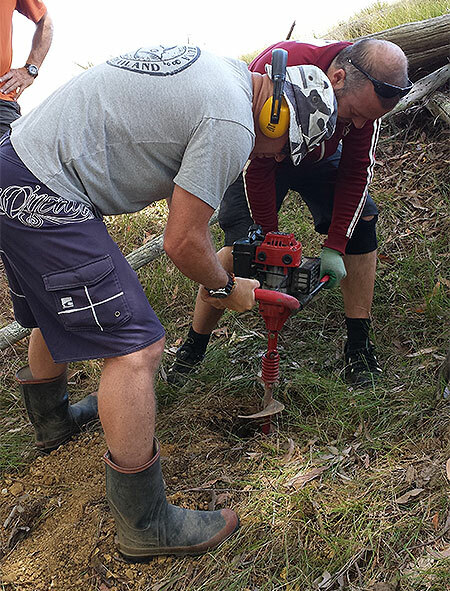 UPDATE: All tees have been completed thanks to the great crew of volunteers and Waitawa Regional Park Ranger Stan. Signage (including tee signs) was completed mid 2015 making the course much easier to follow. The 2015 New Zealand Nationals wereheld on this course in February 2015 - click here for the story, pics and results. We also ran the 2016 Coastl Classic there, what a great weekend! Waitawa Regional Park is one of the newest Regional Parks in Auckland, New Zealand's largest city. Purchased by the Auckland Council in 2004, the park remained leased to the previous owners for some time as plans were made for the park. The main focus of use for the park was to be recreation and Auckland Disc Golfers were pleased to see our sport added to the equation along with mountain biking, horse riding, kayaking and several more fun pursuits. Gentil Sport and keen mountain biker/disc golfer Gabb became involved in the planning from early 2013, selecting the site for the course based on many factors such as terrain, present & planned floura, other recreational users and potential for a good ol' game of Frisbee Golf. National Champion and disc golfing legend Simon Feasey then came on to play a major role in course design and supplying many resourses including many days of solid hard work. The carpark is situated in the middle of the course with a 9-out, 9-in design, so you can refresh you water bottle halfway through your round (there are plans to have a water tap for us). 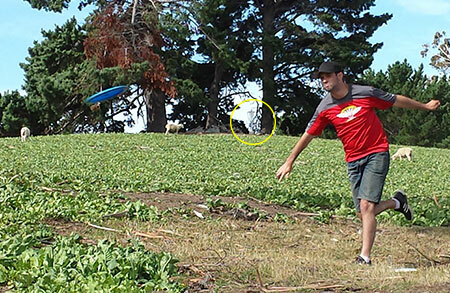 You will see the 9th basket right by the carpark in an adjoining sheep paddock. The 'blue' A tee Course will present a great challenge to even seasoned players whilst there has been a 'green' B tee Course incorporated using 16 tees in easier positions relative to the hole, offering those who are still progressing their skills a decent adventure. There is also a Championship Course that can be used for tournaments and will be open for most of the year. The Championship Course mirrors the Advanced Course other than the first four holes. Click here to download a Google Earth .kmz file of the courses (this file is continually being updated as we work towards the final layout). 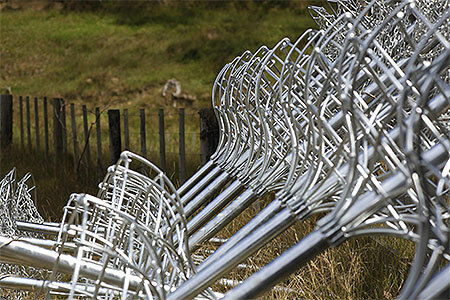 Once the Waitawa Regional Park course was agreed on in terms of layout, the next big step was taking delivery of the 20 baskets needed for the courses. Simon was pleased to have several walk-overs with council staff to ensure everyone was on the same page; it's not often a course designer can have such an open canvas to work with and this has been complimented with future fauna planting to be planned around the course that he will continue to be involved with. Much of the course is on land that has recently been logged and NZ native bush will be planted - so as you visit the course over the years you will see some awesome fairways start to form with even more challenge at the tee, approach and green areas! 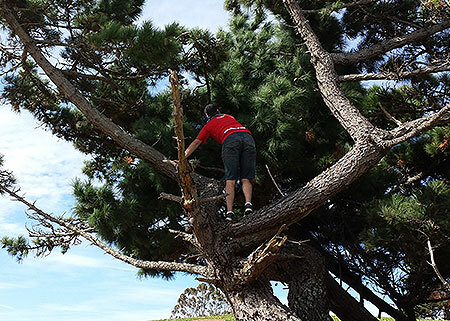 Waitawa Regional Park is 188 hectares of park land comprises a number landscapes including: coastal and exotic forests, pastures, three small peninsulas and three beautiful coastal bays. The northwestern and north-eastern part of the site falls down steeply from the ridge, which runs southwest to northeast towards Wairoa Bay and Waitawa Bay. Several small gullies and minor ridges bisect this coastal slope. The steep nature of this land has resulted in the area being used primarily for forestry with pines and eucalypts being the dominant species. The park land contains two significant coastal freshwater wetlands and mature pohutukawa along the coastal fringe. There is a population of the nationally threatened shrub Pomaderris rugosa. The property has potential for ecological restoration, which will be achieved without compromising the site's recreation potential or spectacular views. The park land has significant recreation potential. There is access to the expansive Waitawa Bay and the beaches are safe for swimming on all tides. The coastline is popular for sea kayaking. The existing wharf will offer direct access to a deep channel in the future, making it ideal for fishing and possibly public transport via the sea. The park's varied topography and settings will mean that a range of active and passive recreation will be able to be catered for. The open countryside spaces are farmed and could also provide track networks, camping and picnic sites. There are also spectacular vistas towards Pakihi, Karamuramu (MacCallum's) and Ponui Islands, with the Coromandel Peninsula and Waiheke Island in the distance. 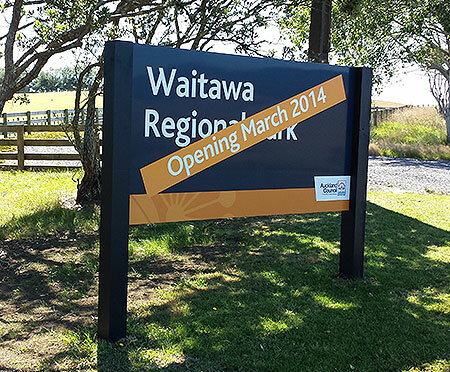 The regional park land at Waitawa offers a wide range recreational activity and is focused on active recreation. It provides for activities not readily available at other parks and in doing so takes pressure off some of those parks. It is readily accessible by water and has a range of water based activity and facilitated opportunities for Aucklanders to be introduced to the coast and the outdoors in a safe setting. It also offers a site rich in cultural heritage and natural values that are managed as outstanding examples of environmental and outdoor education and conservation management. Wish You Could MTB Here - Looking past the 9th basket, we can see the new mountain bike track on the other side of the valley we play in. 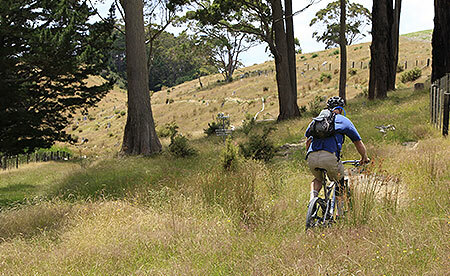 Bring your bike along for some extra fun - most of the trails are of easy grade but can still invoke a bit of adredaline, plus you get to climb over the ridge in the background for some stunning views of the Hauraki Gulf across to Waiheke Island, home of Auckland's very first permanently basketted course. You can find out more about mountain biking (and those views!) at Waitawa Regional Park on Gabb's cyclewaynewzealand.co.nz web page here. Hard Work by Hard Men, Anglo Saxon style- An original Auckland disc golfer Dave Serf (left) works with visiting German golfer Moe Dörken who has become a regular on the New Zealand Disc Golf circuit, visiting every summer for the last 4 years. Tralala!. Clubhouse View - looking back at the Disc Golf HQ and first tee, the first basket sits alongside the Valley Loop mountain bike track. Players must negotiate through the columns of gum and pine trees in the hope of securing a worthy upshot to the basket. Throw well and you will have an easy walk to the green. But make sure you warm up first - there is a short Beginners Course that is ideal for this. Climbing to The View - the fifth hole traverses along the hillside of the gully being nicknamed Equine Incline (base for the horse riders is at the top), climbing gently to the 7th tee where you are rewarded with spectacular views of Kawakawa Bay. Once again, the mountain bike track ascending to the top affords one a nice easy walk (if you stay on the fairway!). This is one of the many areas of the course that will soon be planted with native flora - disc golfers will be invited to partake in some of the volunteer tree planting days (every winter) helping shape this into a sublime disc golf course. And the beauty is that you can see your efforts blossum each and every time you visit! Here we chanced upon Italian Stalion Elvis Zaskarelli, the cousin of reknowned disc golfing DNF specialist Juan Unda. It has been noted that these two, along with Gabb and Superman, have never been sighted together at the same time. Just sayin'. Shiney Like Juan's Head - the baskets used at the Waitawa Disc Golf Course are the 5th generation of local Simon Feasey's design work. Many well-travelled disc golfers are praising the design for so many reasons: the wonderfull disc-catching design of the chain system, the eloquently shaped basket, the stury construction. And all to international PDGA standards. World's anyone? 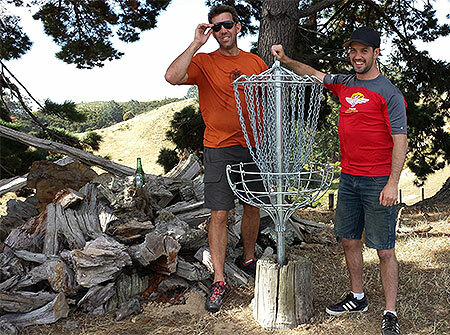 Happy Golfers - Course designer Simon Feasey with his trusty side-kick Speedo are stoked to set the Waitawa Disc Golf course's hole 8's basket into its unique base. Championship Hole #2 - the Championship Course sees players tasked with a tricky but shortish 97m drive to an enticing basket sitting on a defined green (a rest from the 1st Championship holle of 253m!). Players would then shoot back across the valley floor to the normal course's Hole 3 basket. ...only to find himself introduced to the knarly pine that is already being affectionately refered to as The Knarly Pine. 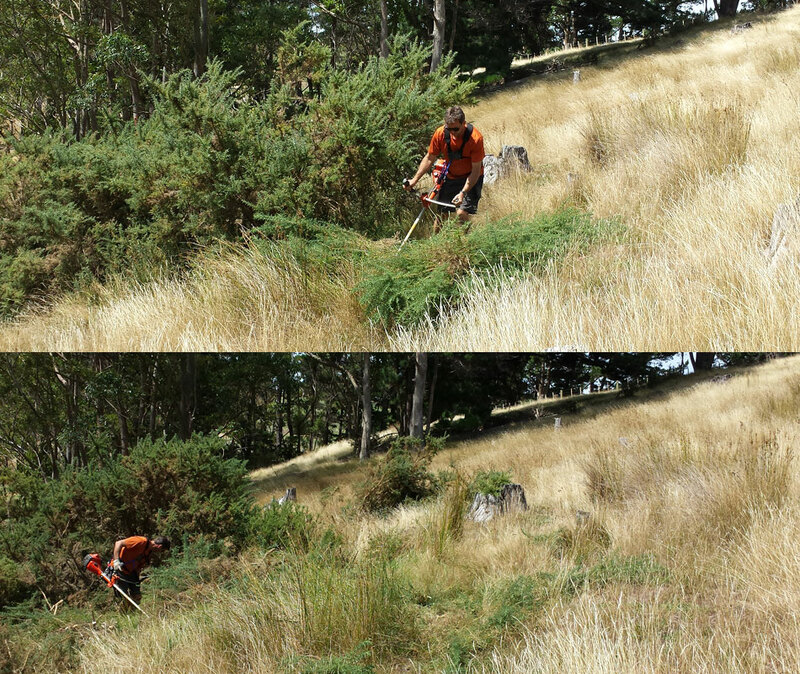 A Course in Gorse - Always the outdoor man, multi NZ Disc Golf Champion and course designer Simon Feasey cuts back gorse to allow him to accurately pinpoint the location of the 17th tee. The nasty gorse on the course is in the process of being sprayed and removed..
Waitawa Regional Park is on Clevedon-Kawakawa Road, the scenic road joining (you guessed it) Clevedon township with Kawakawa. Look for the big Regional Park sign. 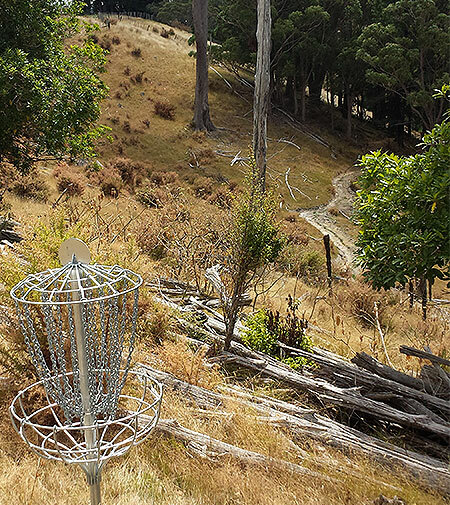 Upon entering the park, entry to the disc golf course is immediately to the left but do take some time to visit the park office and especially take in the awesome views and the beach down at Waitawa Bay (the disc golf course sits within a valley within the park and affords only a few views of Kawakawa Bay). Drive down the gravel road to the Disc Golf Carpark (approximately 1km) to the big open shed. The carpark is situated in the middle of the course with a 10-out, 8-in design. 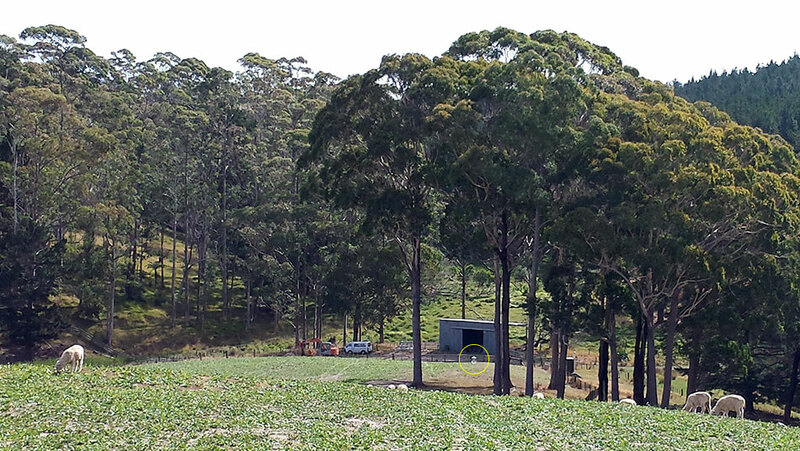 You will see the 10th basket right by the carpark in the middle of one of the sheep paddocks.